Class B motorhomes are the smallest of the three motorhome types. These small motorhomes are typically called camper vans and conversion vans. Savvy engineering and design allow for these smaller motorhomes to still offer plenty of space and comfort for anyone. It’s hard to imagine a camper van offering plenty of space, but these Class B motorhomes can offer enough space for kitchens, washrooms with showers, and sleeping areas that fit up to four people! While the vans do typically contain all of these features, the space will feel smaller than it would in a larger motorhome. For example, the toilet and shower are typically combined into one space to allow for more efficiency in terms of space usage. Also, most Class B motorhomes do not offer slide outs to increase space for living areas or kitchens. Because much of the van’s interior is used for comfortable amenities, there is less space for storage than larger motorhome options. 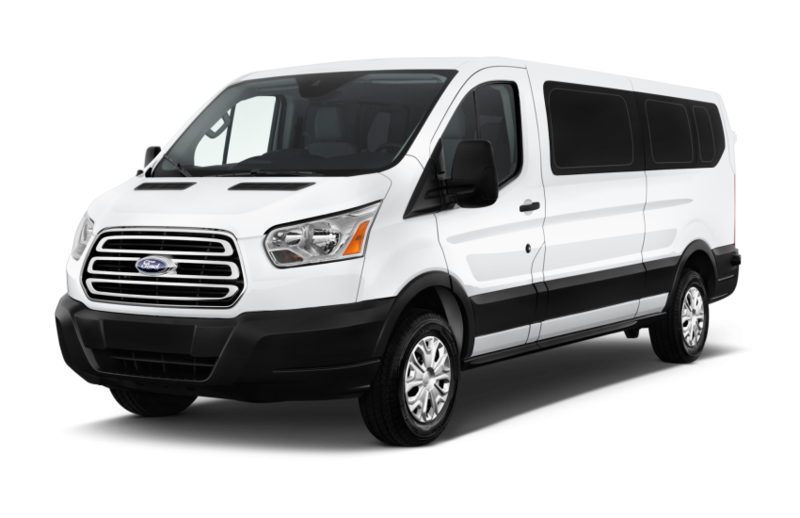 This means these vans are ideal for travelers who do not need to pack a lot of things for their trips. These smaller motorhomes truly are a marvel in engineering and design. Perhaps the biggest benefit of the Class B motorhome is that it’s super easy to drive and can easily maneuver in smaller towns and parking lots. This is due to the fact that these motorhomes are built with van chassis. Due to their smaller size, these camper vans typically offer the best fuel economy as compared to Class A and Class C motorhomes, around 18-20 miles per gallon. Class B motorhomes usually range anywhere from 16 to 21 feet long. However, our largest Class B motorhomes reach up to 25 feet long. The vans are tall enough for a standing room, thanks to their raised roof. Some of the vans even offer drop-down floors for even more standing room: perfect for those taller guests. Guests who don’t need a lot of space to be comfortable will likely find their match with this small motorhome type. One advantage of the Class B motorhome is it can be used as a second vehicle. For families who enjoy long-term road trips in their large, luxurious Class A motorhomes, they can haul a camper van to use as an accommodating vehicle to take into town or into smaller campsites. A couple of the biggest benefits of these camper vans is the fact that they’re able to easily fit into your garage and any parking space. In fact, many families use their camper van for their typical road trips but also for use as a family vehicle to take kids to school or extra-curricular activities. As said, these vehicles are easy to drive and able to access smaller campsites. They also take much less time to set up so families can park and head out for adventures right when they reach their campsite. If the motorhome doesn’t provide enough space, you can easily tow a smaller camping trailer to offer you and your family extra sleeping space. With that camper trailer in the back, you and your spouse can enjoy enough room for yourselves while your kids or family friends enjoy their own personal space inside of the van or vice versa. Of course, make sure you keep the Oreos and s’mores out of site, or they might be all gone when you go to wake your kids up in the morning. You’ll know what happened to the snacks when you see chocolate crumbs and milk mustaches lining the mouths of your children and their friends. Perhaps the most important benefit Class B motorhomes offer is their value. They’re typically a much cheaper option than Class A or Class C motorhomes, while they still offer the comfort and space you will need for a shorter road trip to a smaller camping site. The spontaneous adventure will love the access and ease provided by camper vans. All they need is their tote bag and camping kit before they can head to their next adventure! For more information about Class B motorhomes, feel free to contact us. Our motorhome experts can offer any advice you require for your motorhome needs.